VIDEO: This is what the 11 year old 26/11 Mumbai blasts survivor from Israel told PM Modi! PM Modi meets "Baby Moshe"
The 26/11 bomb blasts on the 28th of November, 2008 shocked our whole country. But little do people know that Israel was one of the countries who were mourning alongside us during this tough moment. Several Jews hailing from Israel had fallen victim to the barbaric act of terror. There was however, one miraculous survivor amount these Jews who laid down their lives. It was 2 year old Baby Moshe, he had lost both his parents, but managed to survive. He was later rescued from the site. His grandparents then decided to take him back to Israel and take care him as he grew up. 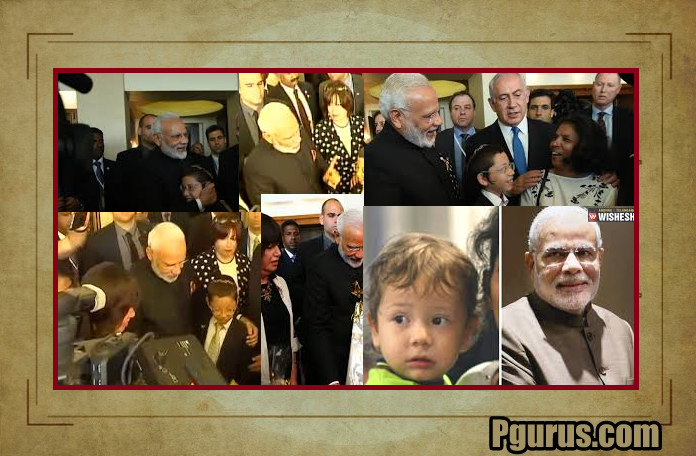 During his visit to Israel, Prime Minister Narendra Modi did not forget to visit Moshe, who is now 11 years old. The emotional meeting touched the hearts of millions of Indians, in the eyes of whom the suffering of Moshe and several others like him remain afresh. The meeting was without doubt an emotional one for both the Prime Minister and Moshe, who was accompanied by his grandparents. Upon setting his eyes upon the Prime Minister, Moshe first greeted him in fluent Hindi and welcomed him to Israel. “Namaste, aapka swagat hai hamare desh mein. Dear Mr Modi, I love you and your people in India,” Moshe said as he welcomed PM Modi.